These are my grandparents. 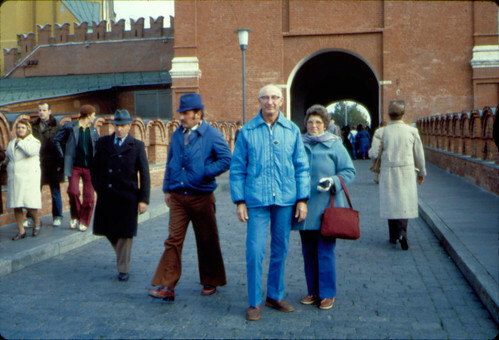 They went on vacation to the USSR in 1982. I have to assume the two men in hats to the left are KGB spies. Presumably the closer one is going for the young, hip look. I think the blue jacket my grandpa is wearing was bought at GUM. There’s a whole reel of slides, some of which I’ve got scanned and on flickr. I’ve also digitized a recording of my grandpa narrating the slides. Once I’ve got all the images, I’ll try to sync up the slides and the audio. 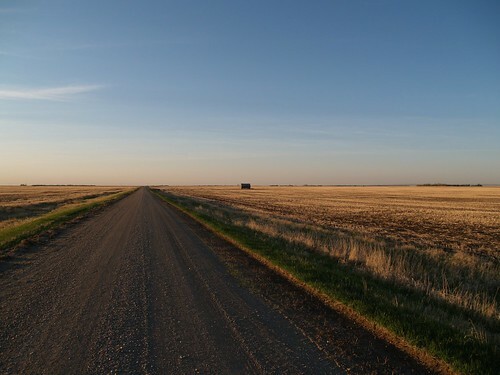 Deep, North Dakota, originally uploaded by afiler. 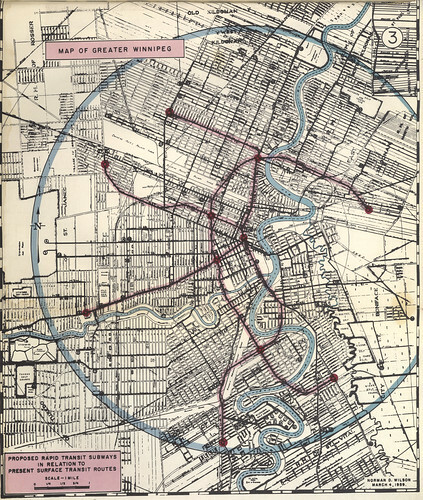 Map of Greater Winnipeg Proposed Rapid Transit Subways in Relation to Present Surface Transit Routes (1959), uploaded to flickr by Manitoba Historical Maps. Winnipeg, like Seattle, has a plan for a subway that was never built. In 1959 the designer of the Toronto subway submitted a plan recommending the construction of a subway (over elevated rail, “mono-rail”, rubber-tired subway, or commuter rail).